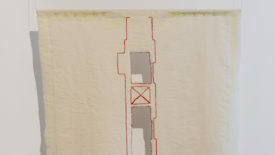 ‘Trait d’Union 2’ is a performance and textile work where the map of CINNNAMON’s gallery space is represented in the textile as metaphor for the world’s atlas, with the equator as red central and vertical line, and the East on top. 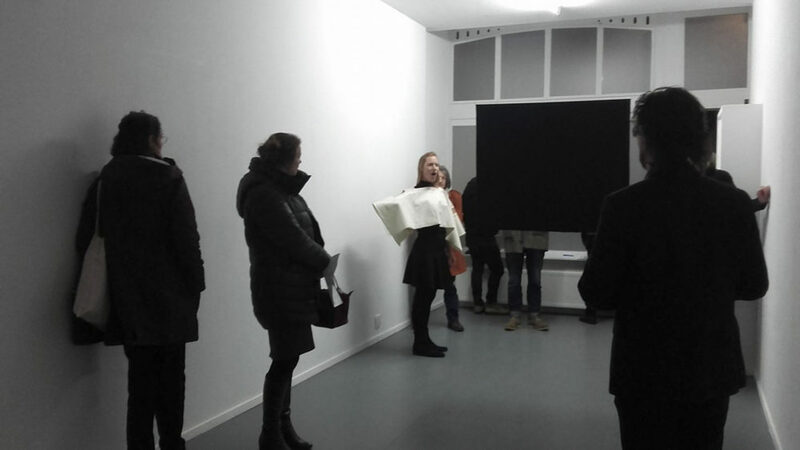 During the performance Van der Putten activates the space with her voice and walking. 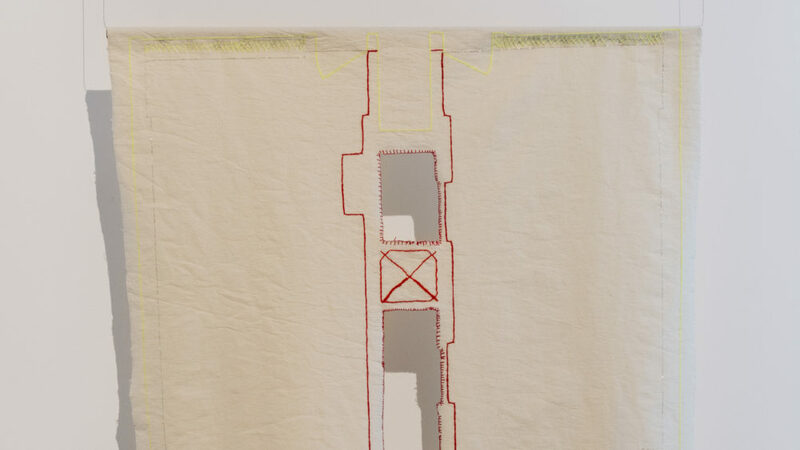 Taking in account the circularity of the sun and earth rotations, and walking a few rounds through the gallery, she moves her dress according to the space she’s in, in such a way that the direction shown on the textile is mirroring her position on the gallery’s map. 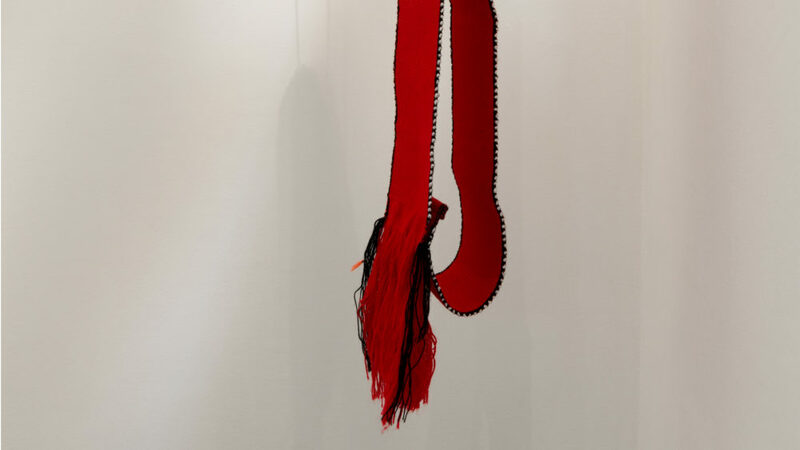 By using her voice, body, dress and surroundings, she embodies the space and reflects on the relation between the mapping of a space, the walking, singing and how a textile can relate to this spatiality. With the performer coming and going in and out the gallery, as cyclic movement, the acoustics inform about the position of the sound source – that the performer comes back from the other side of the room. 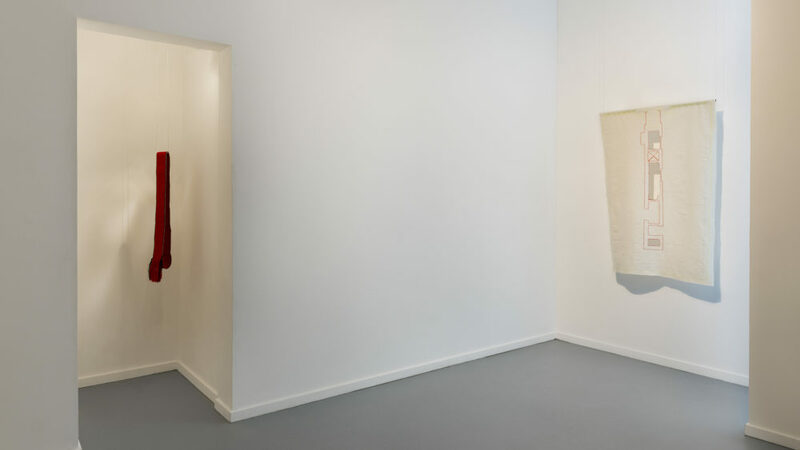 Taking the gallery’s architecture and possible paths as elementary information for her work and choreography, Van der Putten’s performance emphasises the proposal of the exhibition’s theme, where the central wall is a gravity point. See here more information about exhibition Quitsa.